Hello! Recently, I’m more and more into creamy eyeshadows because they are a good option for quick and easy eye makeup. In my collection, there aren’t many creamy eyeshadows but I love all of them: mainly from Stilla and NYX. Creamy eyeshadow for every day. Should one splurge on luxury? Hello everyone! 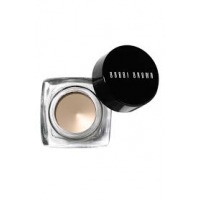 It’s high time to talk about one of the first creamy eyeshadows in my bag, namely Bobbi Brown Metallic Long-Wear Cream shadow in 04 Brown Metal. Bobbi Brown products are fancy and sophisticated for everyday. Sapphire Lipstick for everyday wear? Easy, if it’s Too Faced! Who’s zooming Who! With it on you’ll definitely grab all the attention.